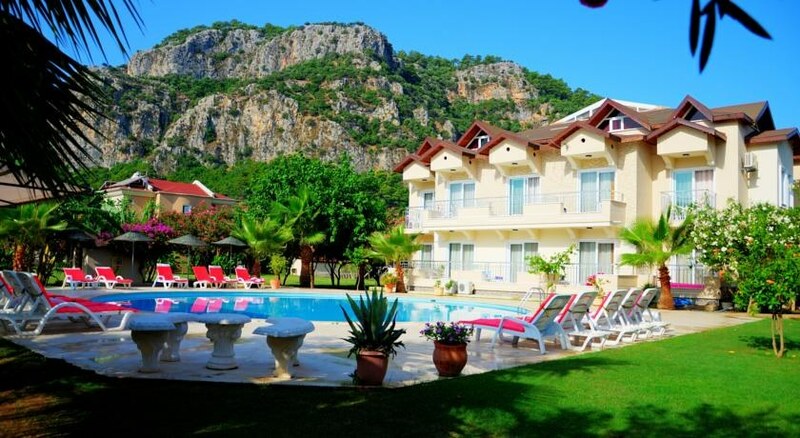 Nestled within well-maintained gardens in the Dalaman area the Hotel Keskin Dalyan offers a variety of activities and family, friendly service. The complex is situated in a peaceful setting away from the hustle and bustle of the town yet travellers are only 250 meters away from the areas many shops, bars and restaurants.The complex boasts 3 large outdoor swimming pools where residents can take a dip in the cooling waters. The furnished sun decks provide the perfect location to relax on one of the comfortable loungers and while away the hours sipping on ice cold drinks from the bar. There are over-sized parasols available to shade the guests from the heat of the day. 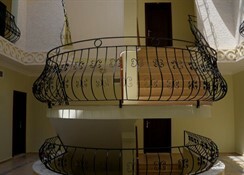 Families are well catered for with younger visitors benefitting from their own swimming pool and a large play area. There is a game room with table football and billiards for residentsâ€™ amusement. 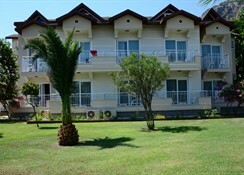 The Hotel Keskin Dalyan is the right choice for families and couples seeking a relaxed and quiet complex which has a selection of facilities for their enjoyment. There are 3 large outdoor swimming pools and a separate childrenâ€™s pool. All benefit from well-furnished terraces. 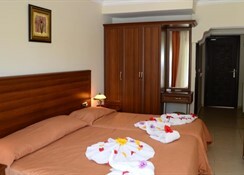 he hotel provides tastefully furnished, basic and spacious rooms for guests comfort. 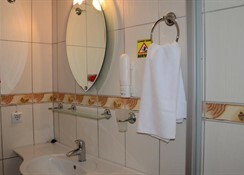 Facilities include an en-suite bathroom, air conditioning, telephone, safe facilities and a balcony. The hotel has an on-site restaurant which serves up local Turkish and international dishes in an informal buffet environment. Guests can enjoy a wide selection of beverages at the hotel bar. 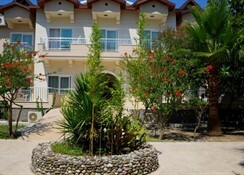 The complex is 250 meters from the centre of Dalyan where residents can enjoy a number of bars, cafÃ©s and restaurants as well as a selection of shopping venues.